Mirzapur: Prime Minister Narendra Modi inaugurates Bansagar canal along with Uttar Pradesh Governor Ram Naik, Chief Minister Yogi Adityanath, Deputy Chief Minister Keshav Prasad Maurya, Union Minister Anupriya Patel and state BJP president Mahendra Nath Pandey, in Uttar Pradesh's Mirzapur on July 15, 2018. 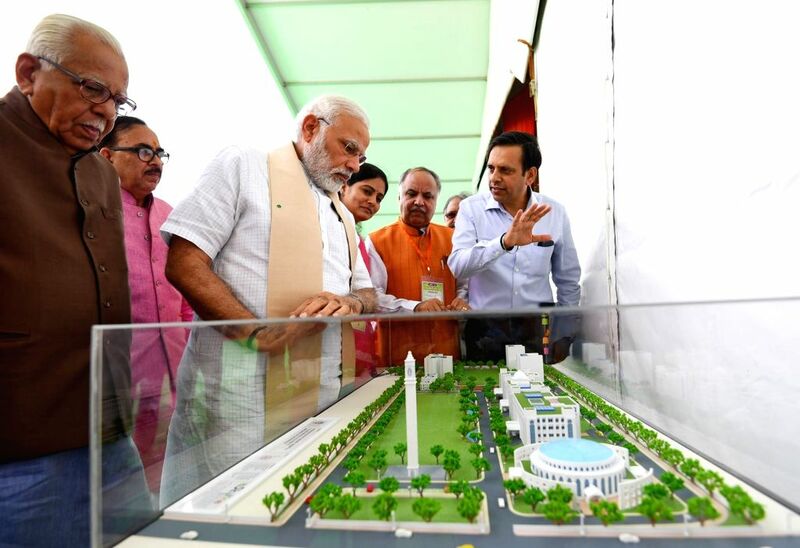 Modi also laid the foundation stone of the Mirzapur Medical College, inaugurated 100 Pradhan Mantri Jan Aushadi Kendras and a bridge over the Ganga river. 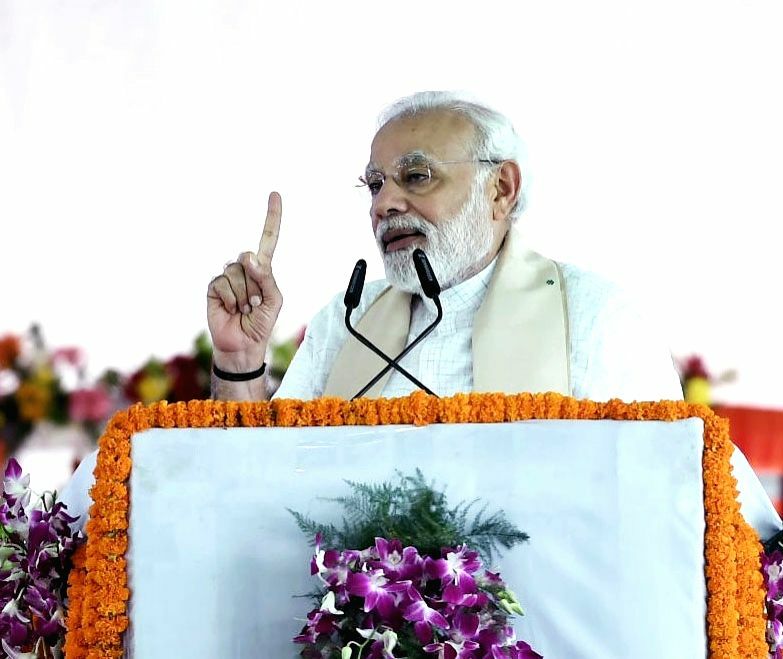 Prime Minister Narendra Modi addresses a gathering at a programme where he inaugurated Bansagar canal, 100 Pradhan Mantri Jan Aushadi Kendras and a bridge over the Ganga river and laid the foundation stone of the Mirzapur Medical College, in Uttar Pradesh's Mirzapur on July 15, 2018. 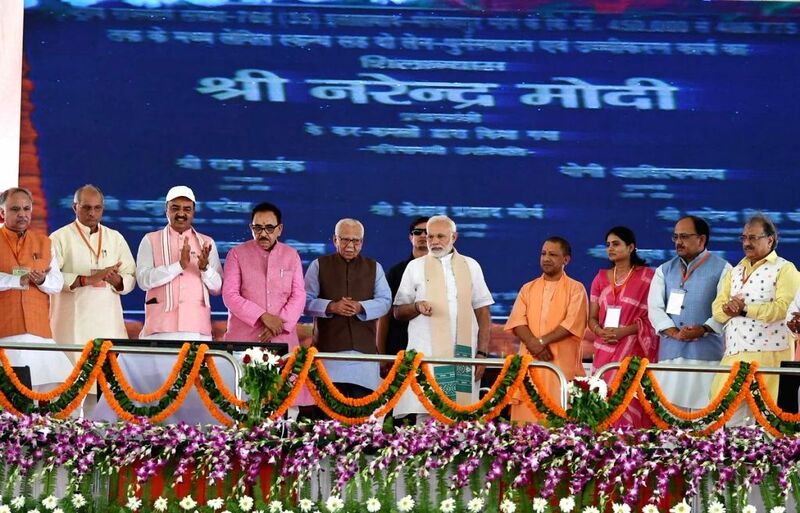 Prime Minister Narendra Modi, Uttar Pradesh Governor Ram Naik, Union Minister Anupriya Patel and state BJP president Mahendra Nath Pandey at a programme where Modi inaugurated Bansagar canal, 100 Pradhan Mantri Jan Aushadi Kendras and a bridge over the Ganga river and laid the foundation stone of the Mirzapur Medical College, in Uttar Pradesh's Mirzapur on July 15, 2018.